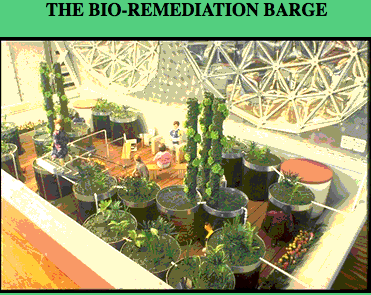 The Bio-Remediation Barge is a dynamic design concept incorporating Solar Aquatic Technology to clean the Schuylkill River in Philadelphia. It is slated to become an environmental education center that also helps feed the city with its aquaculture production. This innovative architecture will be an icon of Philadelphia'a efforts to actualize the green transition. It will serve the river, all the creatures who depend on the river, and showcase the project of integrating human architecture with the ecological world. 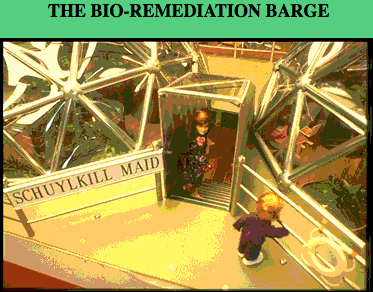 For an article on the history of the Bio-Remediation Barge, please read Wired's article on "Living machines Tackle River Pollution". 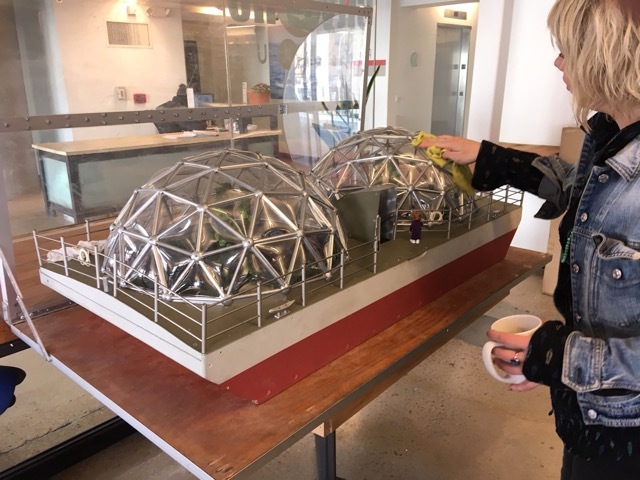 The Bio-Remediation Barge model built by Jay Baldwin is on display at City CoHo, 2401 Walnut Street, in Philadelphia.